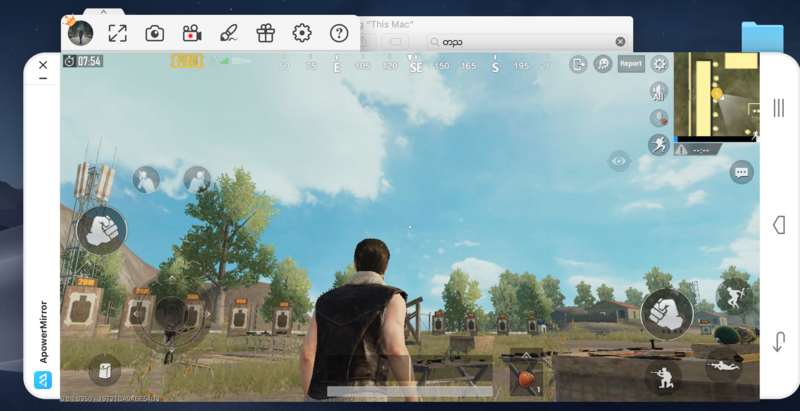 Available games for default game keyboard: PUBG mobile. 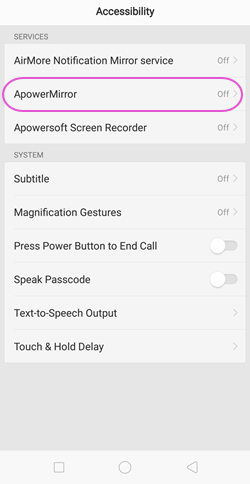 If there is no messages popping up when running mobile games and the default game keyboard cannot be downloaded automatically, or the keyboard you set doesn’t work, please refer to the tutorial below. 1. First make sure that you have connected your phone via USB. 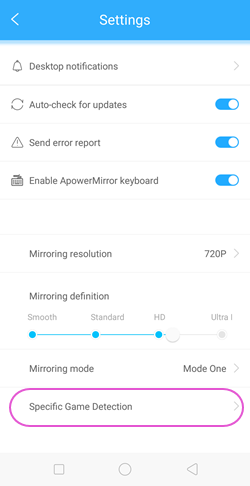 Then open ApowerMirror Android app on your phone and then tap “Settings”. 2. Tap “Specific Game Detection”. 3. 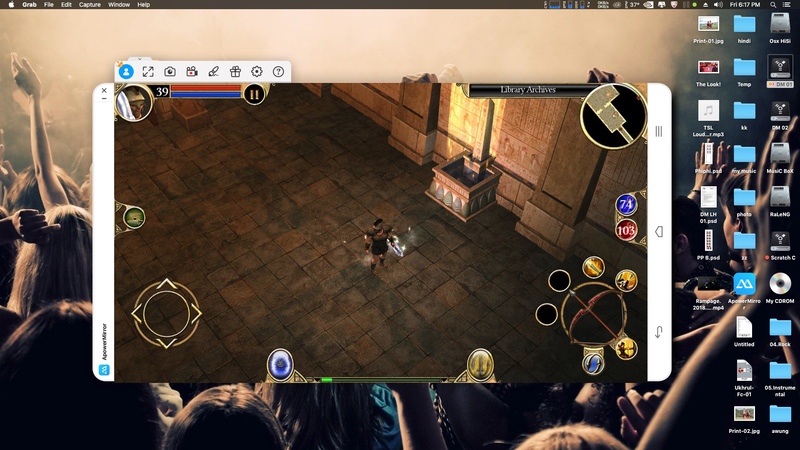 Enable ApowerMirror to detect the game you are playing. 4. Return to the home page of ApowerMirror app. Reconnect your phone to PC and open the game again. Sorry for the inconvenience. Could you please send feedback along with log file from the desktop program? Our technician will check it out as soon as possible. Thank you! Thank you for the reply, can you guide me how to get the log file from my desktop prog (OSX)? Hi, I have looked at my settings page and saw that there isn’t a “Specific Game Detection” at all. Would you tell me where I can find it? Thank you. 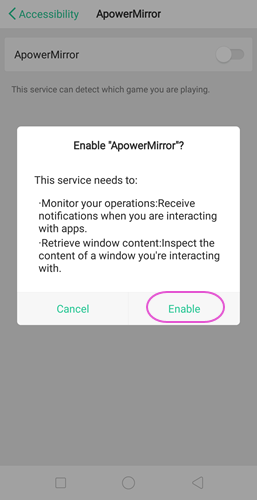 Please update your ApowerMirror Android app to the latest version and try again. Thank you very much! Same problem 🙂 no keyboard icon on the bar. I'm sorry. Could you please tell me the system of your computer, Windows or Mac? The "Game keyboard" feature can only be used by Windows users. Thank you. Please note that only PUBG mobile supports the default game keyboard. Please follow the steps mentioned above to set the keyboard. Thanks for replying me. I had tried all methods which you mentioned above but when i drive a car or looting then controls are different which i set. 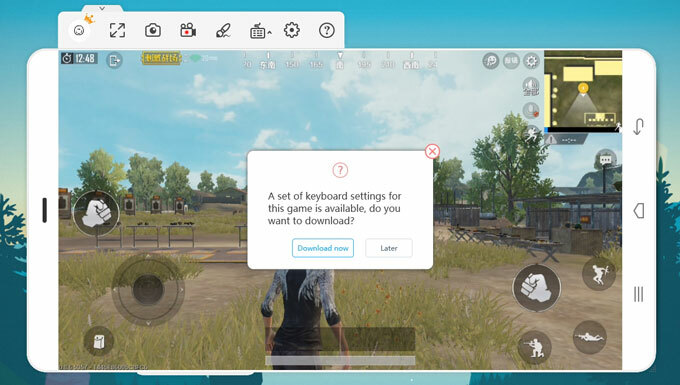 So that's why i am asking for a link to download default game keyboard for PUBG. Could you please send the feedback from desktop program? Our technician will check the issue for you. Thank you very much. I'm sorry. There is no such link of default keyboard. The game keyboard will be downloaded automatically. Sorry for the inconvenience. Could you please send the feedback from desktop program? Our technician will check the issue for you. Thank you very much. I have submitted your problem to our technical department. They will check on it soon. 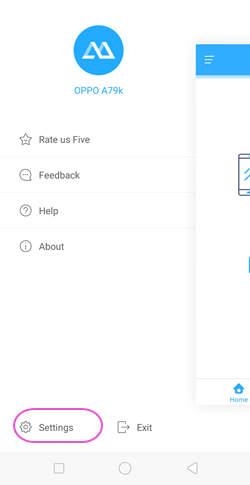 I can’t rates your apps in play store. Why? I can’t get free for a month? Sorry for the inconvenience. What can I do for you? Could you please describe the issue with more details? Thank you. Hello there, I have taken a gander at my settings page and saw that there is certainly not a “Particular Game Detection” by any stretch of the imagination. Okay disclose to me where I can discover it? Much obliged to you.